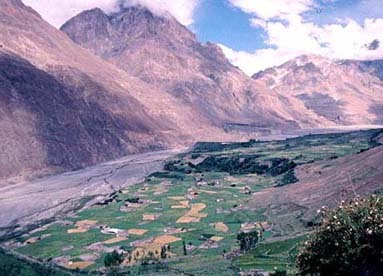 Shimshal village is located along the Shimshal River, approximately 50 km upstream from/east of its confluence with the Hunza River near Passu. 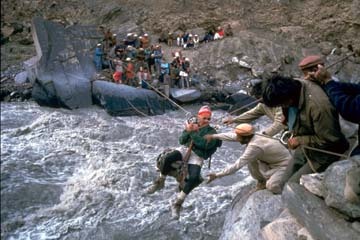 Shimshal used to be a five-day walk from the Karakoram Highway near Passu, but now a narrow jeep road threads its way through the impressive Shimshal River gorge, enabling visitors to reach Shimshal in a three hour's drive. Beyond the village are numerous seasonal high-mountain grasslands, where Shimshalis herd their abundant yaks, goats and sheep. Most of these mountain pastures are located within the declared boundaries of Khunjerab National Park. In northern Pakistan, mountain communities have taken initiative for environmental stewardship. 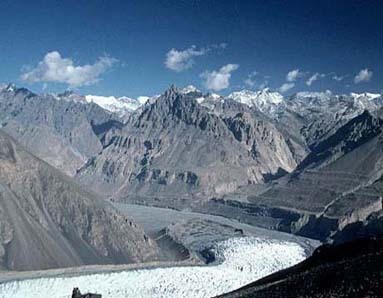 One of the most notable community-based initiatives is the Shimshal Nature Trust (SNT). Shimshali villagers wrote an article about their Shimshal Nature Trust in early 2000, and asked that it be made available through the Internet. During summer 2000, John Mock and Kimberley O'Neil were in Shimshal to explore the North Ghuzherav Mountains; read their expedition report. Read about Shimshal's remarkable mountaineering record. All rights reserved. Unauthorized redistribution of this document is prohibited.